Dodgers acquire minor league pitcher Alec Grosser to complete Bud Norris trade. The Dodgers received right-handed pitcher Alec Grosser from Atlanta to complete the June 30 trade that saw Los Angeles acquire Bud Norris. Grosser, a 21-year-old right-hander, has spent three seasons in the Braves’ organization, never advancing past the Single-A level. The Dodgers acquired Norris and minor league outfielder Dian Toscano on June 30 in exchange for minor league pitchers Caleb Dirks and Philip Pfeifer. Game 57: Offense shines as Dodgers complete 3-day weekend cleanse. 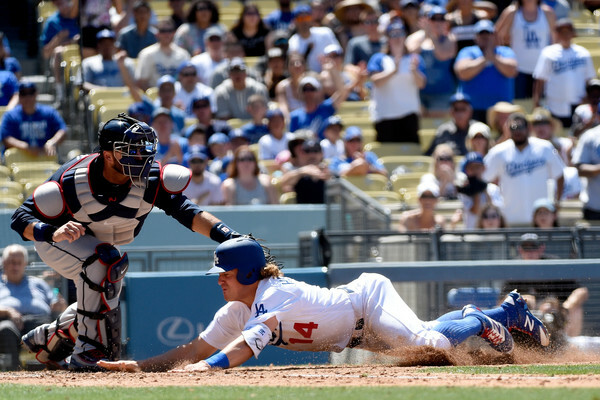 Corey Seager hit two more home runs and the Dodgers routed the Atlanta Braves, 12-6, completing a three-game sweep. The box score is here. Carl Crawford was designated for assignment, an expensive concession that the 34-year-old left fielder no longer had the skills needed to help the Dodgers. 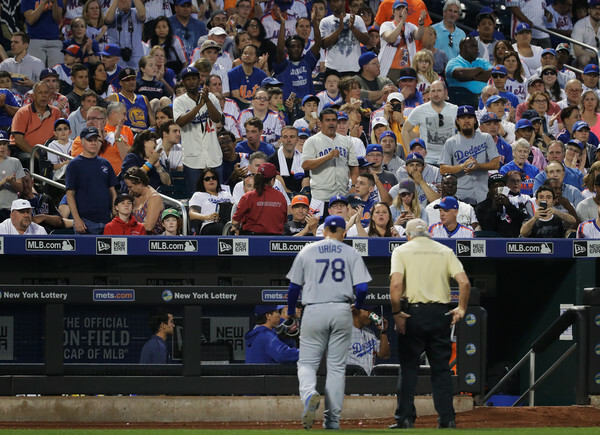 Game 56: Why Clayton Kershaw didn’t need his best to win Saturday. 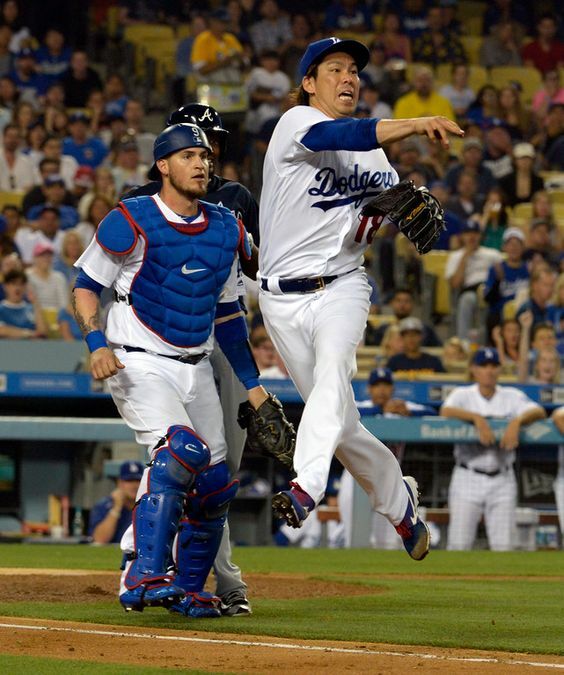 Clayton Kershaw picked a good time for his shortest start of the season Saturday, a 4-0 Dodgers win. The box score is here. The photo gallery is here. Julio Urias‘ next major league start will be Tuesday against the Colorado Rockies. Game 55: Rookies power Dodgers to victory over Atlanta Braves. Corey Seager is a rookie in the traditional sense. Kenta Maeda is not. Both contributed to a 4-2 win over the Atlanta Braves on Friday; the box score is here. The photo gallery is here. By default, Julio Urias might be the Dodgers’ fifth starter for another week, while Yasiel Puig was placed on the 15-day disabled list. Dodgers will place Alex Wood on disabled list and recall Julio Urias. Update. CHICAGO — The Dodgers will place left-hander Alex Wood on the disabled list and recall Julio Urias from Triple-A Oklahoma City. Urias, 19, the consensus top pitching prospect in baseball, is expected to make his second major league start this weekend at home against the Atlanta Braves. Update (6 p.m.): Wood has been placed on the 15-day disabled list with left posterior elbow soreness. Urias is en route to Chicago, where he will join the Dodgers tonight.